January 4, 2010 – Earthworks™ introduces its PM40T Touring PianoMic System ($4,695 MSRP). Based upon the company’s highly successful PM40 Piano Microphone System, the new PM40T Touring PianoMic™ System promises the sonic performance of its sibling while offering quick, simple, and easy setup. With the new PM40T, musicians and audio engineers can achieve pristine sound quality regardless of whether the piano lid is up or down. The heart of this innovative piano microphone system is two Random Incidence, omnidirectional, 40kHz High Definition Microphones™. Featuring a frequency response ranging from 4 to 40k Hz, these microphones promise extraordinary impulse response and extremely short diaphragm setting times, making them ideally suited to perform within the piano’s highly diffused sound field (multiple direct and reflected sound sources). Earthworks states that these microphones exhibit no proximity effect (change in LF levels), regardless of their distance from the piano strings or soundboard. The result is said to be a remarkably consistent piano sound across the entire range of the instrument. The two 40kHz High Definition Microphones™ included in the system are said to provide incredible gain before feedback because the microphones are positioned very close to the sound source and are within the sound field of the piano. As the microphones are placed inside the piano shell, they are well isolated from sound outside the instrument. Further, as these microphones are positioned 3 to 6 inches above the piano strings, the miked piano sound is dramatically louder than any sounds emanating from outside the piano. As a result, any outside leakage picked up by the piano mics is dramatically lower in level than the sound of the piano itself. 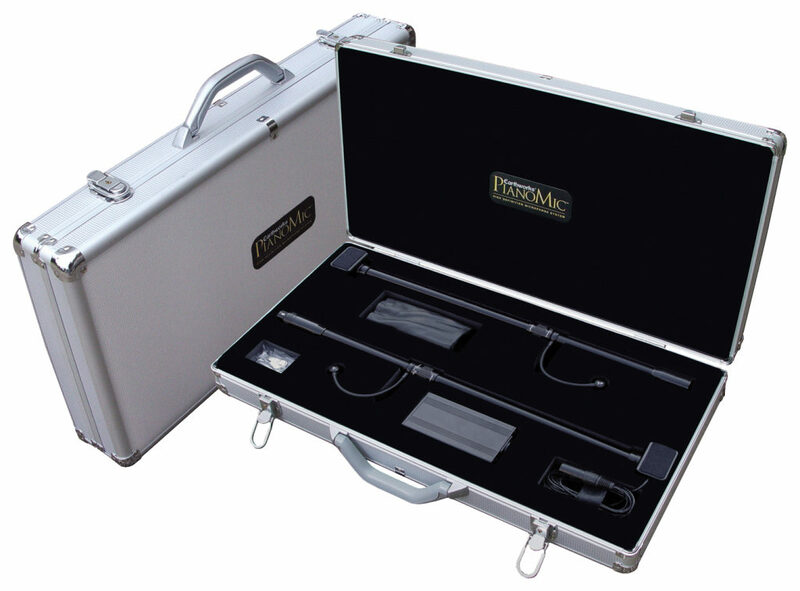 The PM40T’s adjustable, telescoping tube is supported by the sides of the piano case, facilitating flexible placement of the microphones close to or away from the dampers—facing toward or away from the keyboard—enabling one to achieve exactly the sound characteristics most appropriate to any particular application.